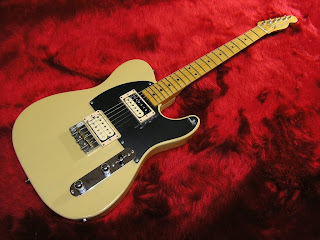 Fender’s Japanese Custom Shop cranks out many really cool models that never come to the United States, and this is yet another fine example. 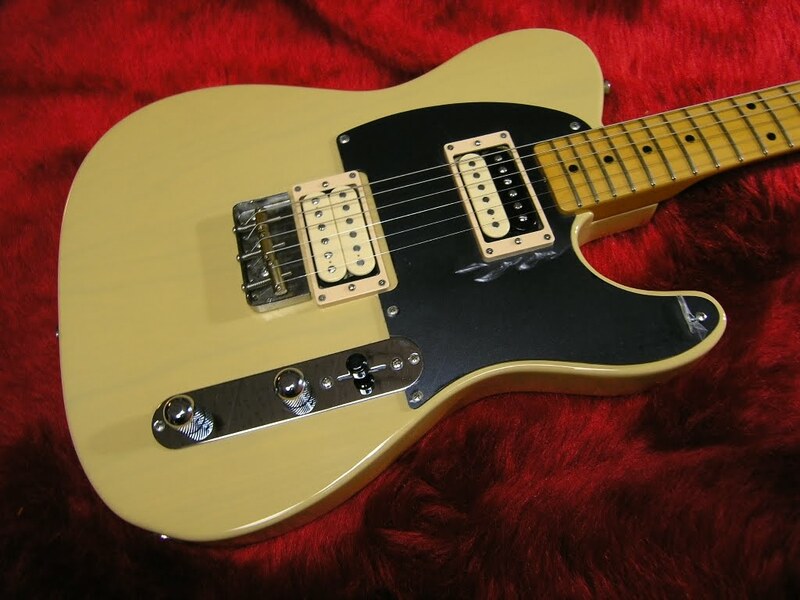 It is a very rare ’52 re-issue Shop Jeff Beck Telegib Telecaster. I found this one in Japan a few years back. My understanding is that they were only made in this color and configuration for a few years from the late 1990s to the early 2000s. 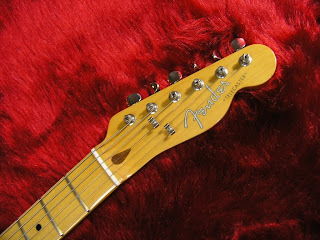 Many of you have already heard my rants about the superior quality of Japan-built Fenders, so I will give it a rest. For now. This guitar was crafted with a ash body and sprayed with a transparent butterscotch finish, so that the grain shines through. A period-correct single-ply flat black pickguard is mounted. 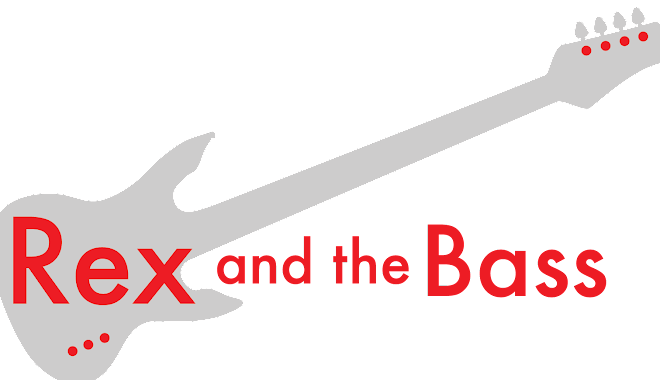 The maple neck has a true V profile with medium jumbo frets. As usual, the fretwork, nut-detailing and finish are superb. The neck pocket fit is as tight as they come. The hardware they picked is surprising correct for this model. 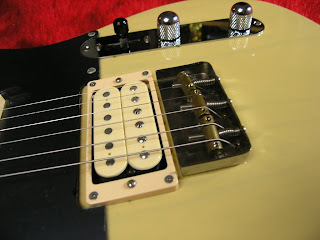 It has vintage style tuners and a 3-saddle bridge (with one slight modification). Usually this is an area where Fender Japan will use the wrong parts, and kind of mess up the whole re-issue effect. Ah, the pickups. This is where the Telegib really shines, and which makes this guitar unique amongst the other offerings in the Fender line. The Custom Shop installed 2 DiMarzio Virtual PAFs. Sweet! This is one really super crunchy guitar, and is as close to a Les Paul tone as you will get with a Telecaster. 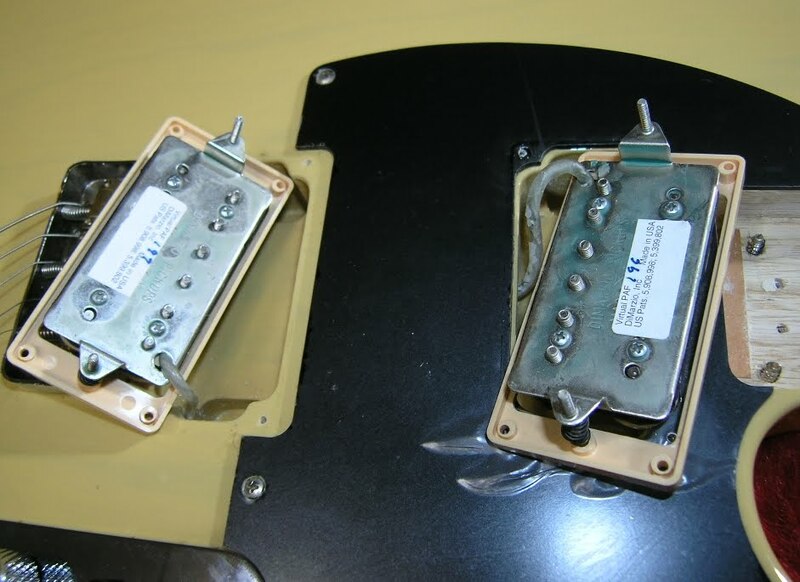 And, since they were installed at the factory, the body routing is a clean as a whistle. 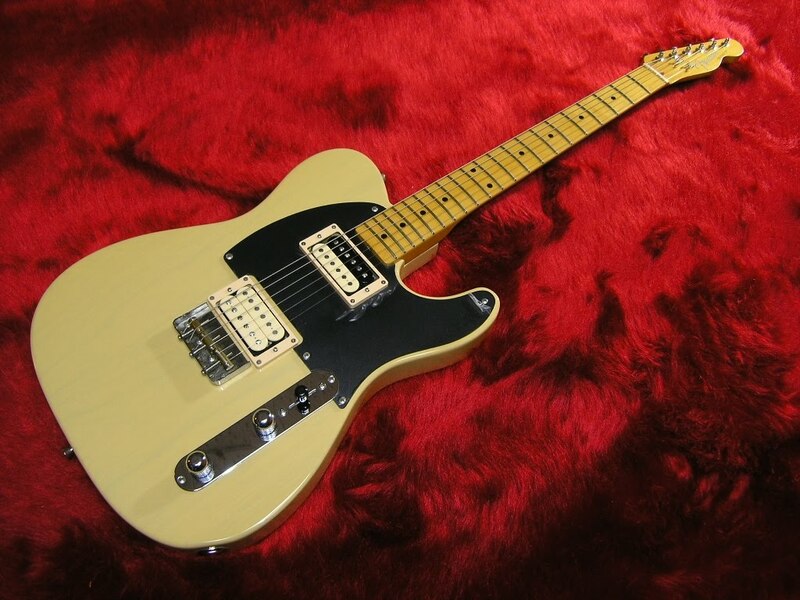 This limited edition guitar is just about impossible to find outside of Japan, and this is the only one that I have ever seen for sale anywhere. Rumor has it that the Ishibashi chain of stores recently ordered a bunch of these, so more might be showing up on the market soon.